Nairobi, Kenya – To accelerate access to better antiretroviral (ARV) drugs, the Government of Kenya and Unitaid today announced the introduction of a new first-line drug for people living with HIV, making Kenya the first African country to introduce the generic version of this new drug for routine use. 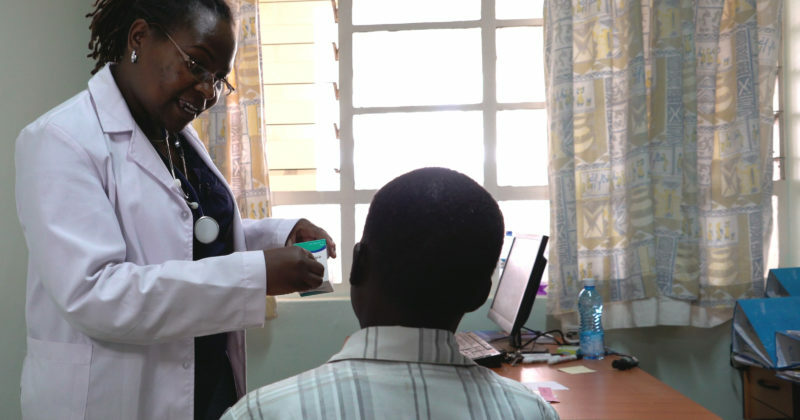 “This is the first step in ensuring access to better quality and more effective ARV therapy that will greatly improve the quality of life of people living with HIV,” said Kenly Sikwese, Coordinator of the African Community Advisory Board (AFROCAB) and Alternate Unitaid Board Member for the Communities. The project also supports the market introduction and uptake of adapted pediatric HIV drugs for children.